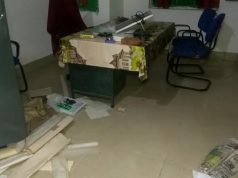 Bhubaneswar: Cracking its whip on the shop owners and business establishments in many parts of the city, the Bhubaneswar Municipal Corporation (BMC) acted on those, who have violated the direction to use signboard and name boards in Odia. The South East Zone and South West Zone officials led special squads on this enforcement activity and issued notices to shop owners and business establishments. Mike announcements were carried out by respective zonal squads asking the shop owners and business establishment owners to change the hoardings/signage without Odia writing. The Joint-Commissioner also added that the drive will continue for several days from tomorrow onward. He also added that the squad from South East Zone went to major markets like Bapuji Nagar and Master Canteen areas. 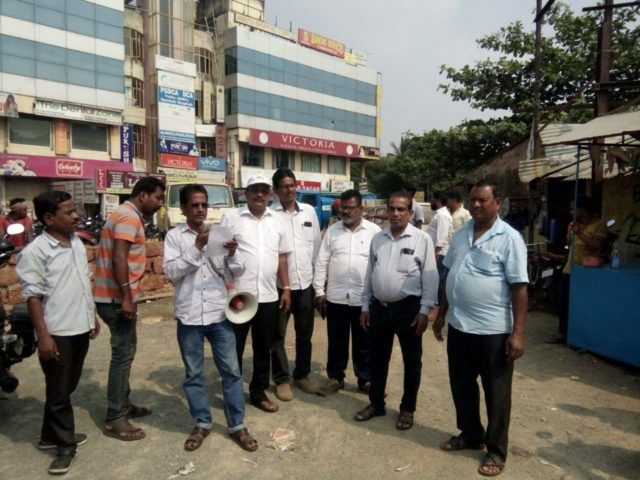 South West Zonal Deputy Commissioner Lalatendu Sahoo said “our squad has removed two huge hoardings at CRP Square and also made a thorough announcement on the Odia hoarding in our area. From tomorrow we will issue notices to violators. Zonal Deputy Commissioner (North) Pramod Kumar Prusty said “we have been doing the awareness drive by announcement through mike for last 15 days along with other subjects like Swachh Suvekshyan. We will start issuing notices to the violators very soon. However, many have changed their hoardings in the area. In order to expedite the use of Odia language by institutions, commercial establishments and shops in the city, a meeting under the chairmanship of Development Commissioner R. Balakrishnan was held at BMC Corporation Hall, recently. 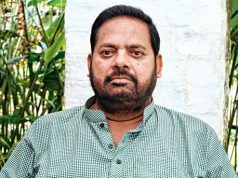 It was decided that BMC will coordinate the activity among commercial establishments and shops to use Odia language on their signboards within the Corporation limits as per the provisions under the Odisha Shops and Commercial Establishments (Amendment) Act, 2018, passed by the Odisha Legislative Assembly on May 25, 2018. 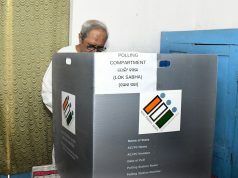 It can be mentioned here that Odisha was the first state in India to be formed on the basis of linguistic considerations. It has also become the sixth Classical Language of the country.